Xojo is an application development environment that provides developers a marked increase in productivity over other multi-platform development tools. 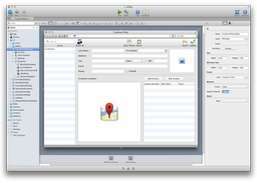 Xojo includes drag-and-drop capability to enable you to quickly create a user interface design, then incorporate the code behind it to add power and functionality. Xojo is highly compatible with Visual Basic, so Visual Basic developers are productive very quickly with Xojo. Xojo also comes with a utility to help convert Visual Basic projects to Xojo where they can be compiled for OS X, Windows, Linux, the web, and soon, iOS -- with the click of a checkbox. Xojo runs on and creates software for OS X, Windows, Linux and the web all from a single set of source code. Xojo incorporates platform-specific intelligence, like user interface widgets, so applications created with Xojo look and feel native, regardless of the development platform you created it on. Build powerful database apps with Xojo's built-in database, based on the SQLite public domain database engine. Connecting to external multi-user database engines requires a Xojo Database Access License. Xojo supports standard image formats for vector graphics. Connect, browse, update & manage databases from one database client. 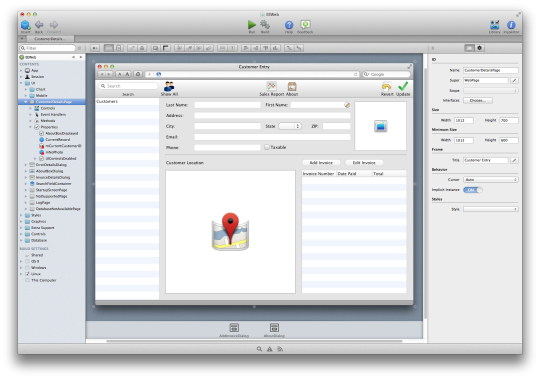 SQL editor & developer tool. Quickly deploy a standalone PostgreSQL database with PHPPgAdmin.